So, its always fun when a company approaches you to do something a little different. Don't get me wrong, reviewing the latest clothes is pretty much a dream come true, but when I'm set a challenge it mixes things up a little. Ladbrokes contacted me about the challenge to Celebrate the launch of Ladbrokes Diamond Slot Game. They sent out "bling kits" for bloggers to customise a pair of shoes, along with a voucher for ASOS we could buy a pair and bling them or use an existing pair and create an outfit using the voucher, I went for the latter as I had the perfect pair of boots that were languishing in my cupboard getting no use at all!! We were sent studs, and chyrstals, glue and tools to complete the task. I wasn't exactly sure how I was going to cutomise my boots, but in the end let the top I bought dictate the style, I went for the tartan peplum top, which I thought it had a hint of punk about it so I decided to stud my boots. 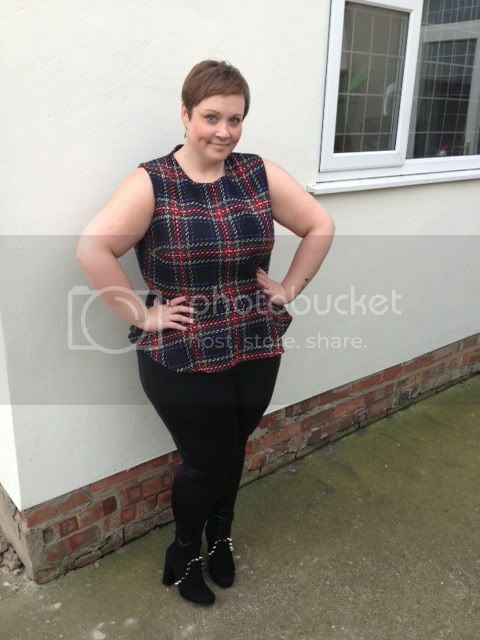 I love this tartan peplum, I can also see myself wearing it with jeans and a cardi, and leopard print pumps for a casual look! I think I could have absolutely gone to town with bling on the boots, but it just isn't me, so I went for simple but striking. How would you have blinged your shoes up? These look great - love what you've done to them! Think it's a great idea to bring to life old pairs of footwear. Good work! very nice :) great outfit! They look so good! Loving your peplum top! 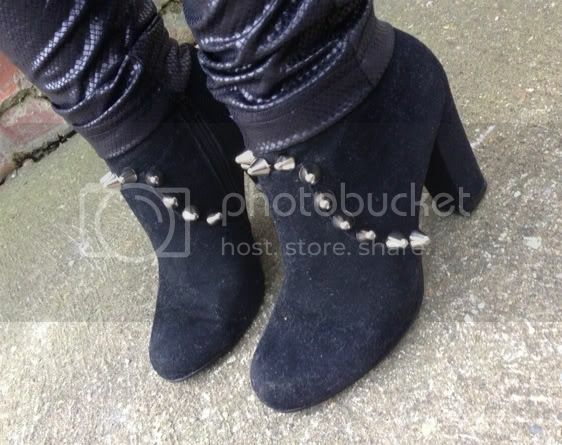 As a self-proclaimed stud and boot aficionado, I 1000000% approve of these boots!!!! I just wish I had the patience to stud my own shoes. haha :D You look fab in them!